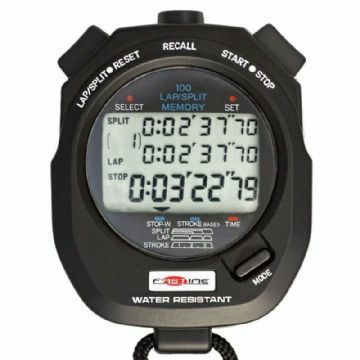 Quadruple row display stopwatch with 80 lap memory. 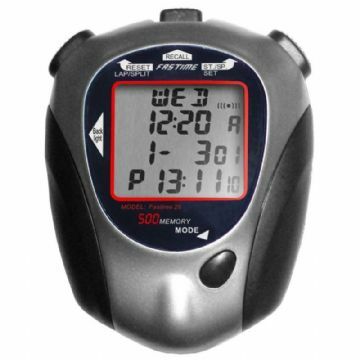 Features a repeating countdown timer, pacer mode and time/date/alarm functionality. Rubberised, water resistant case with ergonomic buttons. Four row display, indicating lap counter, lap split time, cumulative split time and cumulative running time. Measures up to 9 hours, 59 minutes and 59 seconds in 1/100th increments. 80 cumulative times and lap times can be stored in memory. 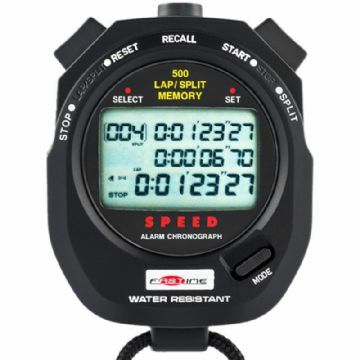 Recall button allows access to memory of previous laps at any time during stopwatch mode. 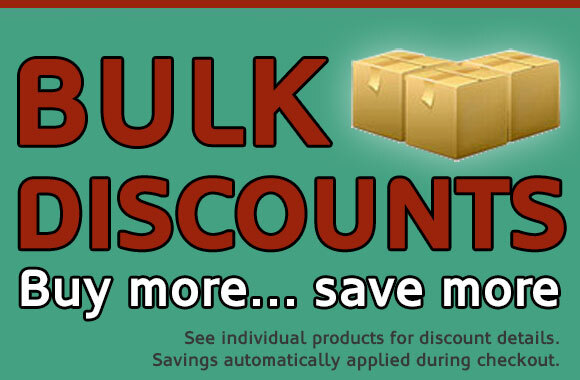 Displays fastest, slowest and average split times. 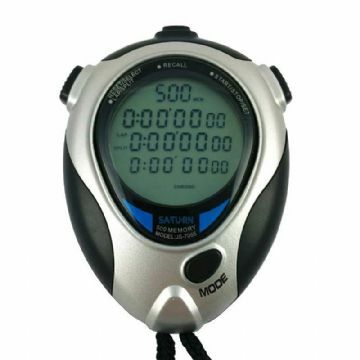 Metronomic counter that allows the user to set a beep pace between 10 and 320 beeps per minute (10, 20, 30, 40, 60, 80, 120, 160, 200, 220, 240 or 320). Display shows a count of number of beeps and the current beeps per minute. Counts down from a specified time. Once the timer reaches zero, the Fastime 27 beeps, increases the lap counter and automatically resumes a fresh countdown. Maximum 9 hour, 59 minutes and 59 second countdown. Two timers count down individually from a specified time. Once the timer #1 reaches zero, the Fastime 27 beeps then automatically starts timer #2. Once timer #2 reaches zero, the stopwatch beeps, increases the lap counter and automatically resumes a fresh countdown with timer #1. Both timers can be set for a maximum 9 hour, 59 minutes and 59 second countdown. Ergonomically designed case and buttons. Time, date, day and year functions (12 hour or 24 hour clock modes). Easy access rear battery door (CR2032 battery). Well the service again is second to none... So pleased with my first Fastime 27 in the field decided to have another as backup putting the Fastime 500DM to one side. 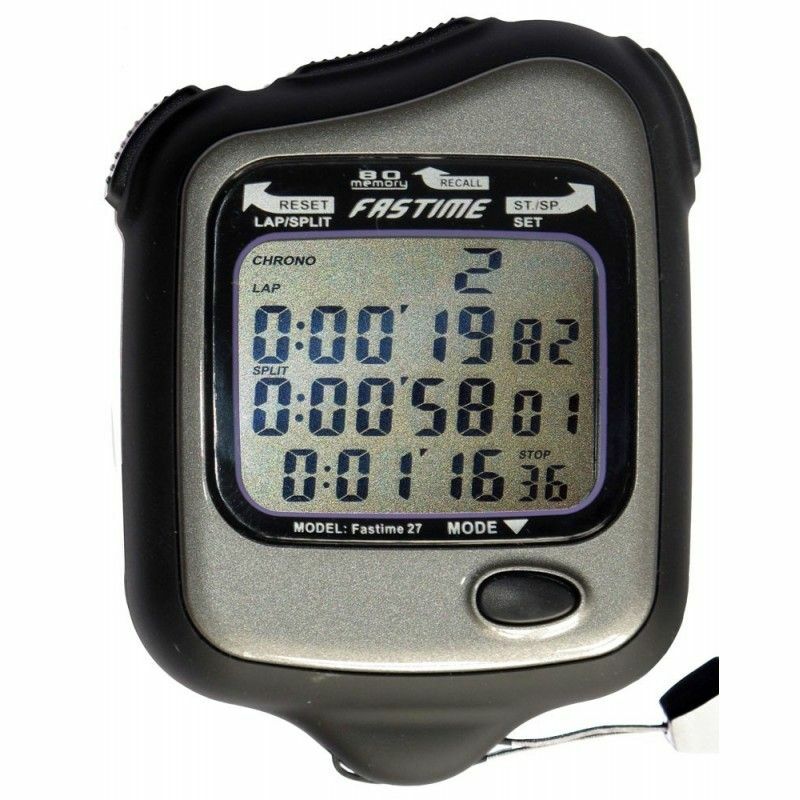 The Fastime 9 is a triple display stopwatch with a 100 lap memory, stroke rate function and a rugged, water resistant and shock resistant case. Time and date. 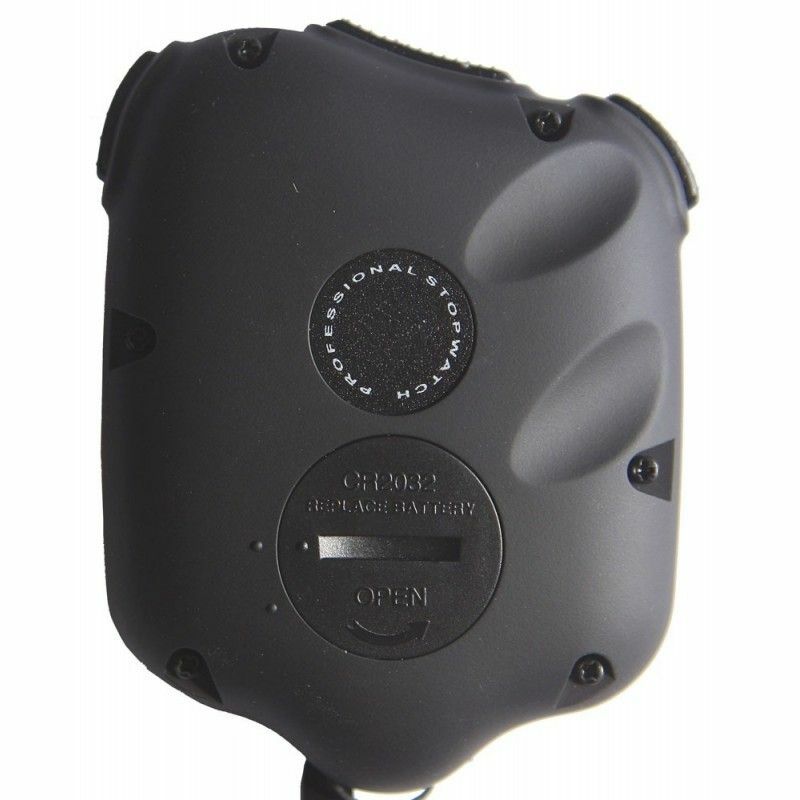 The Fastime 9 is ideal for timing swimming and rowing activities.